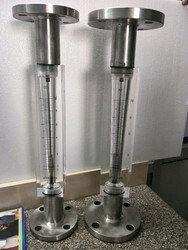 Leading Manufacturer of rotameter with sensor, air nitrogen rotameter, acrylic body rotameter, acrylic body gang rotameter and rotameter from Vadodara. “KABIR” make Acrylic Body Rotameters are mainly used for Water / Salt Water, Air, Nitrogen, Hydrogen, Natural Gas application. These are integrally machined cut in acrylic body from imported transparent acrylic blocks sheets. These are also suited with flanged or screwed connections and several options of material for the wetted parts. All our products are developed as per industry norms, using premium raw material and latest technology. Wetted Parts : M.S. / S.S. / P.P. / Teflon. Scale : Engraved on body. Packing : Neoprene / Teflon / Silicon. We are a professionally managed fast growing company with impressive track record in manufacturing a complete range of Flow Rotameter. These rota meters are useful for measuring flow of air, common gases, water, alkalies, oil & organic chemicals. Our offered range of glass meters is appreciated for its features such as high tensile strength, dimensional accuracy and compact design. 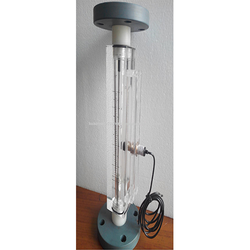 Glass Tube Rota Meter is manufactured using optimum components procured from reliable vendors in the market. 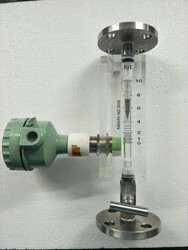 We introduce ourselves as the prominent manufacturers, exporters and suppliers of Acrylic Body Rotameter. Our entire range of rotameter is designed using high quality raw material & used for direct reading in pressurized tank application. 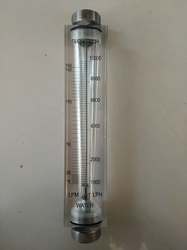 Not only this, our rotameter is offered in various customized options as per precise needs of our patrons. 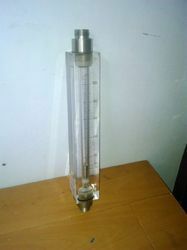 Looking for Acrylic Body Rotameter ?